Even as the stalemate continues between the Delhi government and Lieutenant-Governor Anil Baijal, the Raj Niwas issued a slew of orders to check air pollution. 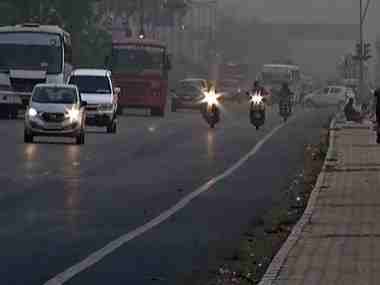 The orders came after Baijal convened an emergency meeting with officials in the Delhi government over the issue of air pollution, which has been above the ‘severe’ mark for the past three days. Baijal also ordered the municipal corporations, Delhi Development Authority and sub-divisional magistrates to strictly enforce prohibition on open burning of garbage, plastics and leaves. Baijal ordered municipal corporations, Delhi Pollution Control Committee and Public Works Department to impose penalties on all road construction contractors where there are inadequate dust control measures. The meeting also envisaged a massive plantation exercise from 15 July to 15 September across Delhi. To welcome participation of residents, information about procurement of saplings, identified areas for plantation activities etc will be provided by forest department. Baijal stressed upon participation of people including resident welfare associations, eco-clubs in schools to give a sense of ownership of this programme. Baijal directed all agencies concerned have been asked to submit their respective plans for plantation programme to the forest department. Baijal directed continuous monitoring by all agencies to ensure compliance with above measures. A review meeting would be convened tentatively on 25 June, 2018, and thereafter, implementation would be regularly monitored. The emergency meeting in Baijal's was called after AAP leader Atishi Marlena in a press conference blamed non-cooperation of IAS officers with the Delhi government and resultant non-implementation of pollution control measures in Delhi as the cause of severe air pollution. 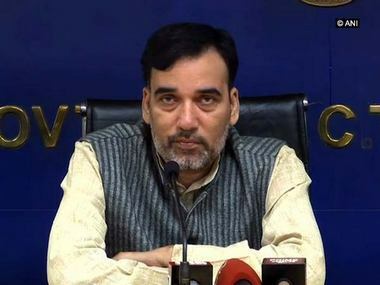 “For the past 115 days, the IAS officers in Delhi are on strike, and they have not implemented any instruction of the government and not attended any meeting called by the ministers,” Marlena said. She also added that from 22 February to 8 June, the Delhi's forest and environment minister called for 12 meetings to discuss issues related to pollution control in Delhi but the IAS officers did not attend them. “It is the officers who implement policies. If they do not remain present in the policy meetings, how will be the policies implemented?” she asked. 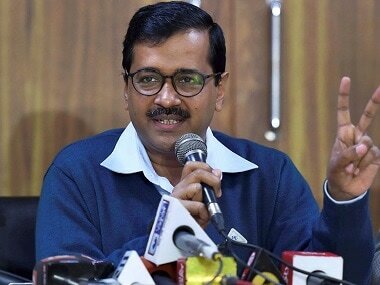 The AAP-led government in Delhi and the IAS officers working in the state had a major face-off in February after Chief Secretary Anshu Prakash accused several MLAs of assaulting him during a meeting at Kejriwal's residence. The AAP has been claiming that the IAS officers have been on strike since the alleged incident, a charge that IAS officers have denied. Kejriwal and three of his cabinet colleagues are protesting the alleged strike by IAS officers in the waiting room of Baijal's office. They have demanded that Baijal direct the IAS officials to end the strike.